Thanks to Kevin Beller for nearly all of the below designs. Thanks also to Lew Halboth for supplying the original uniform graphic we modified for our use. 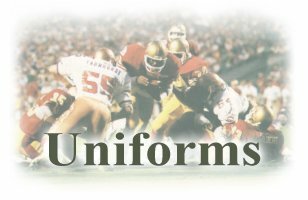 We now have all the regular uniforms as well as the major variations. If you know of other versions and have clear pictures that show the differences, please contact me.